(UPM, Helsinki, 20 February 2017 at 10:00 EET) - You don't have to wonder anymore, whether and where you can find a suitable paper for your digital printing machine. 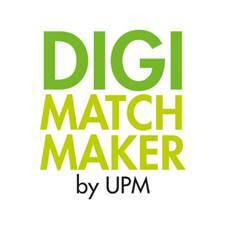 UPM introduces the DIGI Matchmaker - an online tool developed to assist in finding the paper perfectly matching your requirements from our UPM Digi papers range. Using the DIGI Matchmaker is simple: Once you have chosen the digital printing method of your choice and defined the digital printing machine you are using, the DIGI Matchmaker introduces the perfectly matching results from UPM Digi paper offering. UPM is presenting its paper selection for digital printing and the DIGI Matchmaker at Hunkeler Innovationdays 2017, in Lucerne Switzerland on February 20-23. Visit us at our booth in Hall 1 and we will tell you more about the DIGI Matchmaker, UPM Digi papers offering and our services. See you in Lucerne!